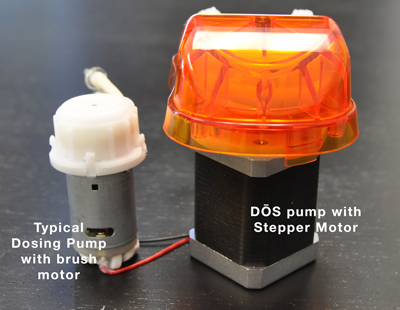 If you need to dose tiny amounts of a particular solution, element or other fluid (like vodka dosing or Zeovit systems), the DŌS is the perfect solution due to its precision controlled stepper motor. This ability to control pump movement in such a refined manner means that you can dose all the way down to a single drop of fluid at a time! First, lets talk about the pump hardware. Be aware that not all dosing pumps are built alike. Well, lets clarify that. 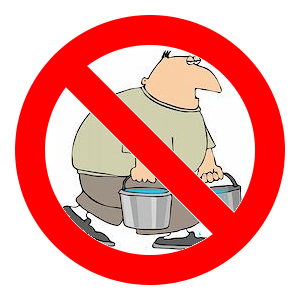 Almost all OTHER dosing pumps are alike – but most ALL OTHERS are very different from the DŌS. The DŌS uses a direct drive mechanism that will not slip, it will not strip, it will not grind to a halt. On the other hand, many other peristaltic dosing pumps used for aquariums have gears that can (and do) strip. Or, worse yet, some pumps work by using the friction of rubber rollers on the smooth metal motor shaft to make the pump spin. Foreign matter like salt creep, additives, etc. often get into the drive mechanisms of these pumps and make them fail or pump unknown amounts. Changing out the peristaltic pump tubing on the DŌS is a snap. Literally! All you need to do to change out the pump tubing is squeeze the pump head and remove. Then take out the tubing, replace with a new one, and snap it back on. No screws, no impossible snap on covers and no fussy loose rollers to mess with. And, because you are not changing out an entire pump head, your costs are lower as well! The DŌS was designed to compliment your aquarium – not just be a box that holds pumps. Its attractive enclosure has the pumps rotated at an outward angle to allow for the tubing to be routed with no chance of kinking, even when placed on a shelf. The DŌS are also designed for stacking and they can be daisy-chained together via the AquaBus ports. Even when stacked, all tubing can be easily routed kink-free. For those that prefer a wall mount, the DŌS has easy to use slots in the back so you can attach it to a wall or to the inside of your aquarium cabinet. With the exterior design, component selection, and software functionality, the DŌS communicates how much total effort we have put into this product to raise the bar not only for dosing systems, but for premium aquarium products overall.